When they lost their source of food, they took desperate measures to survive. 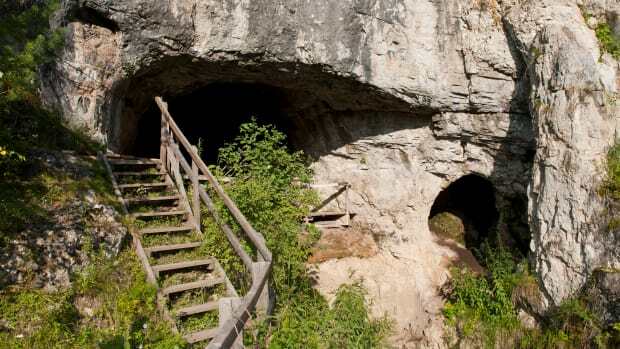 In the 1990s, the remains of six Neanderthals were found in Baume Moula-Guercy, a small cave in the Rhône valley in southern France. The remains, which belonged to two adults, two adolescents and two children, showed many of the tell-tale signs of cannibalism: according to Cosmos, the bodies had been completely dismembered, and the bones showed both cut marks left by stone tools and bite marks resembling ones left by Neanderthal, rather than animal, teeth. 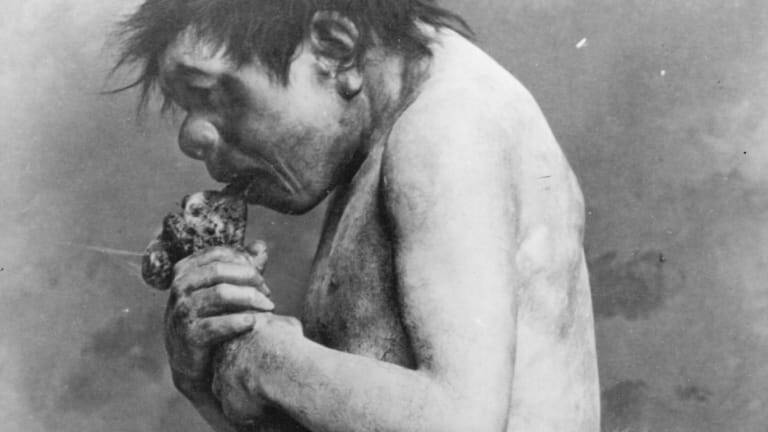 Evidence of suspected Neanderthal cannibalism is not new. 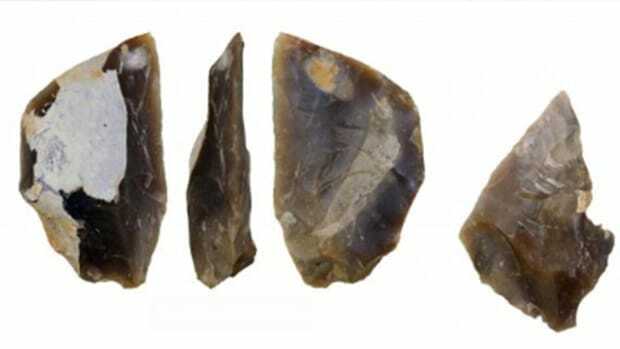 In addition to the remains found at Moula-Guercy, researchers have also uncovered bones bearing the signature marks of cannibalism at sites in Belgium, Spain and Croatia (though the Croatian remains were later shown to have been damaged by natural processes). 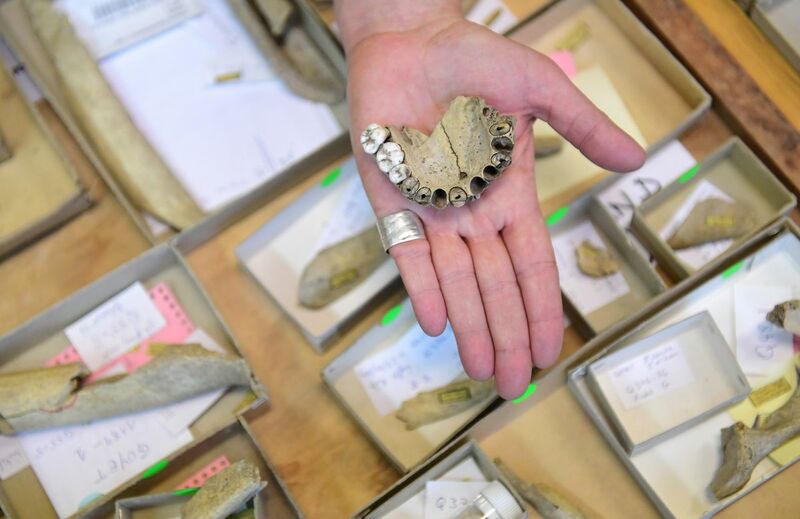 Anthropologist Helene Rougier displays some of the 96 bones and three teeth from five Neanderthal individuals found in the Belgium Goyet cave in 2016. Researchers have found the grisly evidence that the Neanderthals did not just feast on horses or reindeer, but also on each other. In 2016, researchers presented the Belgian bones, found in a cave near the town of Goyet, as “unambiguous evidence" that Neanderthals practiced cannibalism. 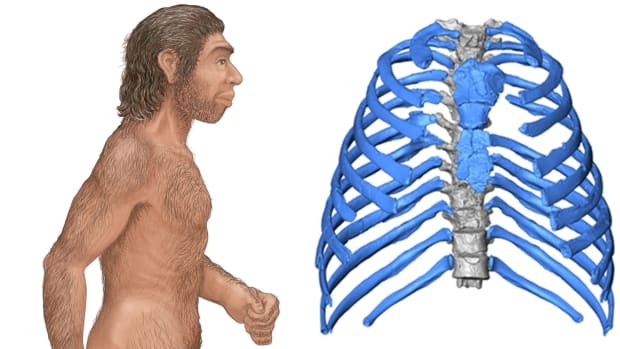 But they were unable to identify what drove these ancient human relatives to eat their own. Was it simply a case of needing nourishment to survive? Or was cannibalism part of a cultural or religious ritual? 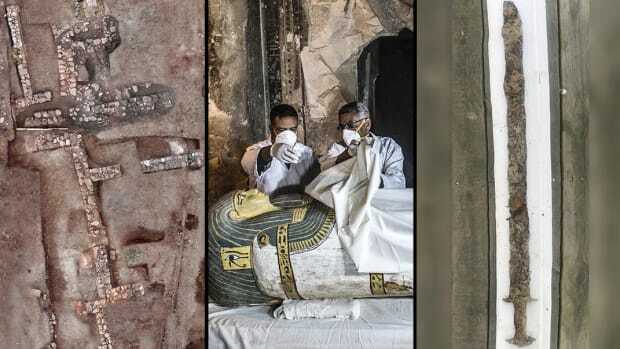 The new study, published in the Journal of Archaeological Science, suggests one explanation. 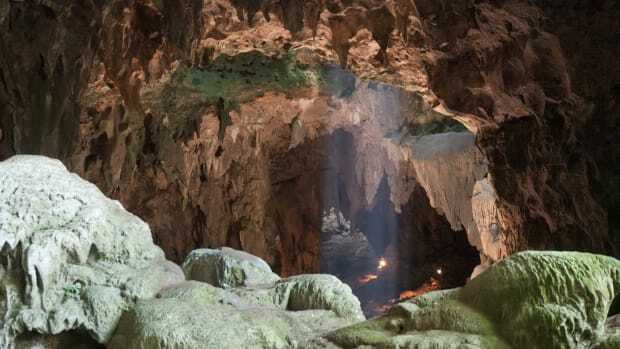 The Neanderthal remains in the cave at Moula-Guercy were discovered in the layer of sediment dated to the last interglacial period, which lasted from around 128,000 to 114,000 years ago. During that time, temperatures jumped several degrees higher from the era that occurred directly before the interglacial period, as well as from the period that came directly after it. “The change of climate from the glacial period to the last interglacial was very abrupt,” Emmanuel Desclaux, co-author of the study, told Cosmos. He suggested the bodies were likely devoured over a short period of time, after their killers grew desperate to survive. 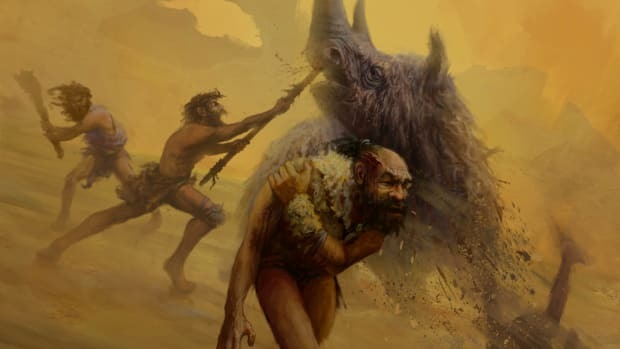 Such a scenario links Neanderthals—or at least these particular ones—not to ritualistic ceremonies involving human sacrifice, but to stories of “survival cannibalism” among modern humans. Among the most well known of these are the Donner Party, the ill-fated pioneer expedition that ended in tragedy in the California-Nevada mountains in 1846; the Uruguayan rugby team whose plane crash-landed in the Andes in 1972; and even some of the starving settlers at Jamestown colony.